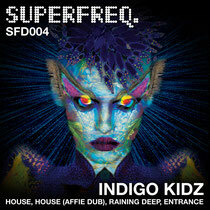 After releasing their debut production on a various artists EP back in late March, Indigo Kidz aka Mr.C & Affie Yusuf are now making a full debut on the former’s Superfreq label. Their ‘House EP’ was made in a London studio, was inspired by love, family and friendship and calls on hardware gear including Virus, Nord Lead 2 and a 303 for its authentic sound. The first cut the pair offer here is the title track, ‘House’, a dark and moody cut built on a writhing bassline and alive with the classic cowbell sounds of an 808. Imbued with plenty of late night eeriness there’s a poise and balance to the track, which keeps you locked. 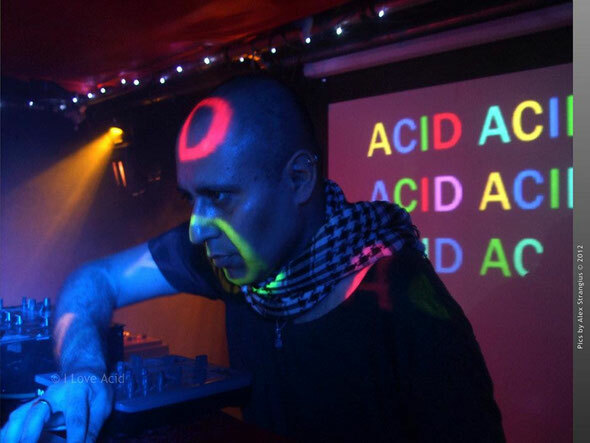 Affie also provides a slightly more raw and edgy dub version for the freakier moments on the ‘floor. ‘Raining Deep’ is a deep space brew of gurgling synths, frazzled analogue lines and crisp drums that grows ever more twisted throughout its course. The melodies indeed drip down like rain and the scraping percussion add a coarse edge to the smoothness of the pads. Finally, ‘Entrance’ is the deepest of the lot with pinging cowbells, shape shifting pads and clattering percussion all inviting you down the rabbit hole and keeping you there. It’s out July 22.